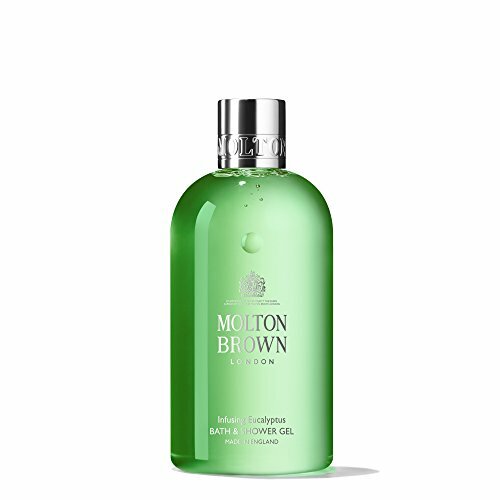 A refreshing bath and shower gel from Molton Brown with notes of eucalyptus, wild mint and rich patchouli. Benefits Fresh, green notes invigorate your senses and leaves skin delicately fragrant. Experience the bracing aromas of an evergreen forest with this body wash in your morning shower. The Fragrance Top notes: eucalyptus, lavandin and rosemary. Heart notes: wild mint, clove and thyme. Base notes: cedarwood, patchouli and musk. Fragrance family: floriental. EXPLORE London via Tasmania The soaring, evergreen eucalypt forest. A waterfall thundering over sheer rock face. Blue haze rising from the oils of leafy undergrowth. Restore your senses with a foray into the fragrant wild. Our gently foaming cleansing gel synthesizes natural eucalyptus with amino acid-based cleansing agents. Effectively purifies and balances all skin types, especially sensitive and eczema prone, unlike traditionally harsh detergents. Blended to hydrate, rinsing free of residue without irritation, drying, or stripping; helping to reduce epidermal stress. Natural fragrance and color. Cleansers can be blended to create personalized bathing experiences. Cleanse and nourish with a moisturizing lather that leaves skin feeling hydrated, refreshed and renewed. The Seaweed Bath Co. Hydrating Soothing Body Wash helps to restore and soften skin with a unique formula of nutrient-rich bladderwrack seaweed extract with antioxidant-rich blue green algae and ultra-hydrating coconut, neem, kukui and olive oils. 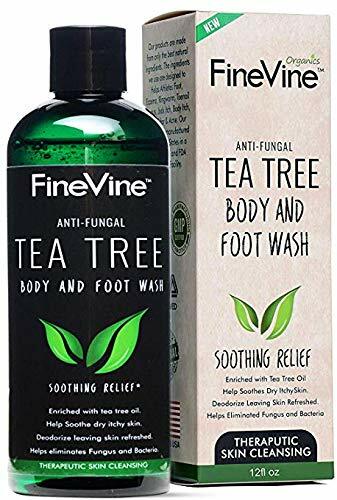 Theis versatile daily body wash also can be used as a shaving gel or bubble bath or can be combined with our Hydrating Seaweed Bath to create a hydrating body scrub. Made with natural and high quality ingredients, The Seaweed Bath Co. Hydrating Soothing Body Wash is free of sulfates, parabens, and gluten and is vegan and cruelty-free/Leaping Bunny Certified. The bottle is 100% post-consumer recycled plastic. 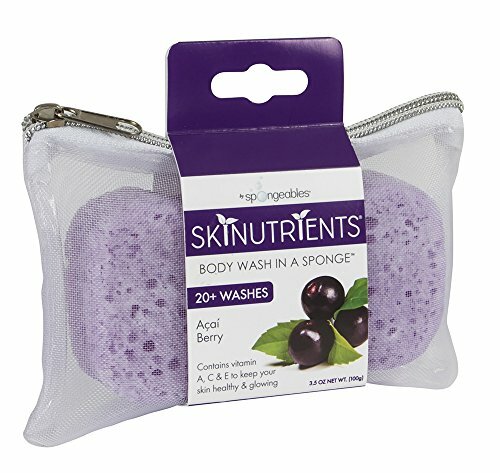 Featuring patented, revolutionary foam-release technology, this body sponge contains an exquisite blend of cleanser, moisturizing olive oil, and açai berry extract that will leave skin feeling smooth and hydrated after every use. Just add water to create an at-home spa experience and release the rich lather to scrub away the stress of the day while you bask in the refreshing scent of grapefruit. Directions for use: Thoroughly wet sponge and squeeze to release the creamy lather. Massage away dirt and impurities to reveal hydrated, softer skin. When finished, squeeze out any excess water and store in a dry place until next use. 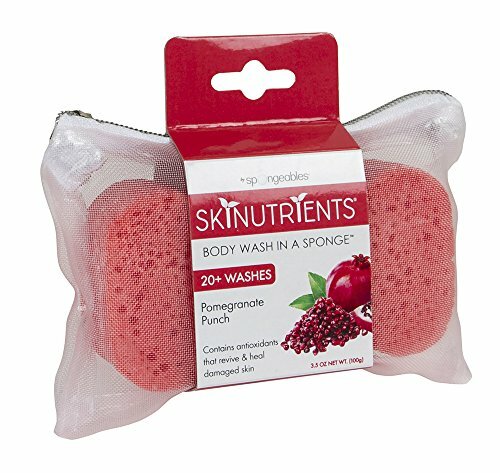 Featuring patented, revolutionary foam-release technology, these body sponges contain an exquisite blend of cleanser, moisturizing olive oil, and pomegranate juice extract that will leave skin feeling smooth and hydrated after every use. Just add water to create an at-home spa experience and release the rich lather to scrub away the stress of the day while you bask in the rejuvenating scent of pomegranate. Directions for use: Thoroughly wet sponge and squeeze to release the creamy lather. Massage away dirt and impurities to reveal hydrated, softer skin. When finished, squeeze out any excess water and store in a dry place until next use. Looking for more Body Cleansing Gel Eucalyptus similar ideas? Try to explore these searches: Pooh 4 Piece Crib, Black Game Bibs, and Equine Hoof Pad. Look at latest related video about Body Cleansing Gel Eucalyptus. Shopwizion.com is the smartest way for online shopping: compare prices of leading online shops for best deals around the web. Don't miss TOP Body Cleansing Gel Eucalyptus deals, updated daily.